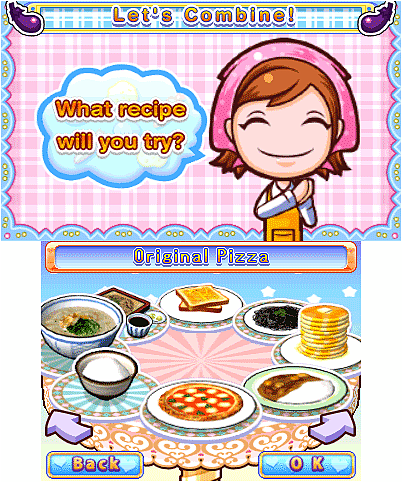 ooking Mama 4 is here and Mama and Ichigo are cooking up a storm on the Nintendo 3DS™. The food is literally flying out of the kitchen as Mama embraces 3D for the first time! 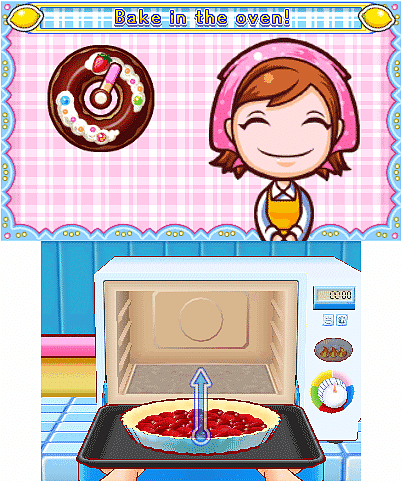 Cooking Mama 4 is here and Mama and Ichigo are cooking up a storm on the Nintendo 3DS™. The food is literally flying out of the kitchen as Mama embraces 3D for the first time! 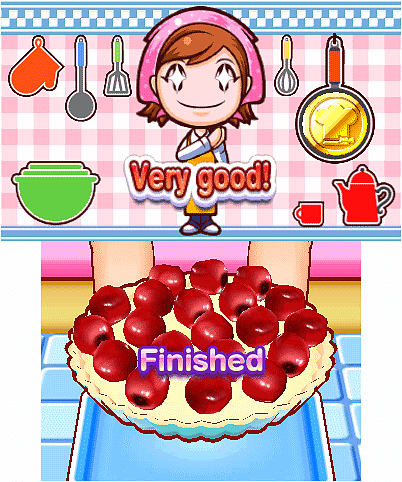 Cooking Mama 4 for the Nintendo 3DS handheld system uses the 3D functionality of the platform appropriately, providing a visual reward for players when they successfully complete a task. 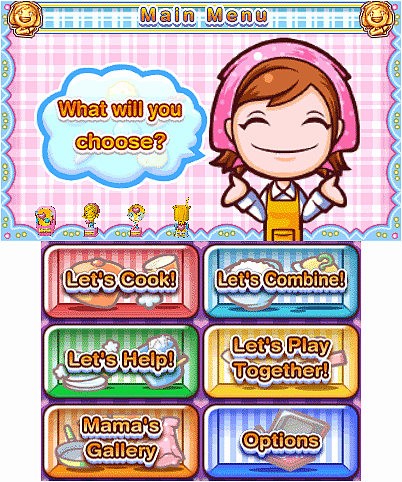 Let’s Cook - Master over 100 new recipes under Mama’s watchful eye. 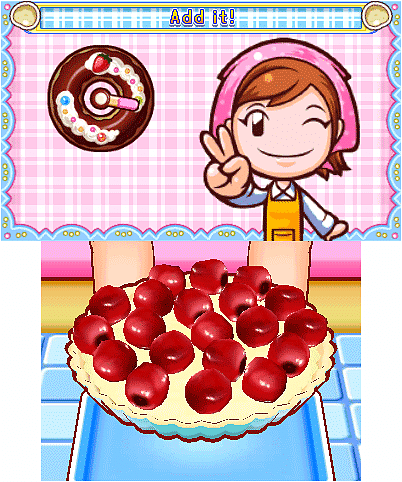 Let’s Combine - Combine 2 exciting dishes, to discover a recipe or minigame challenge! 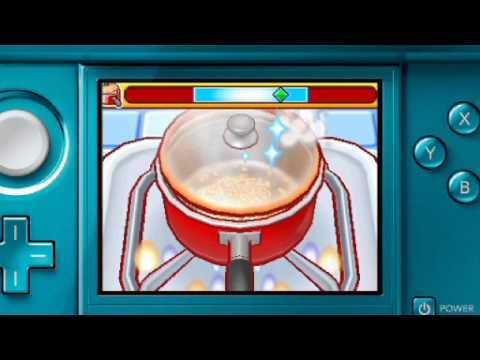 Let’s Play with Friends - Using the Nintendo 3DS wireless function, up to 4 players can play simultaneously, competing for the highest score. 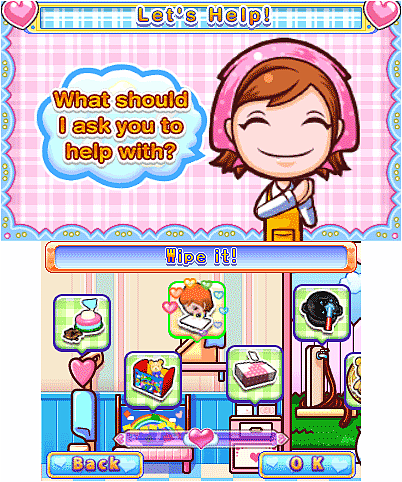 Let’s Tidy Up - Help Mama clean the house after you’ve finished cooking! Take out the rubbish, vacuum or put the plates away! Let’s Decorate - Chose a new outfit or hair accessory for Mama! 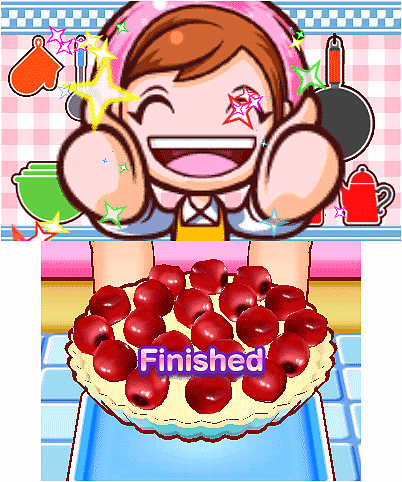 Customise your kitchen and your utensils.